Start a daily writing practice — just seven words a day adds up to over 2,500 words a year. Even when you don’t feel like writing, commit to at least five minutes — it almost always leads to more. Read as you write to help you keep ideas flowing. Even if you can’t write one day, read part of your writing so you don’t lose track of your progress and so your writing is fresh on your mind. Keep your current manuscript open (even if minimized on your desktop) so you see it regularly and can easily add thoughts or ideas when they occur to you. 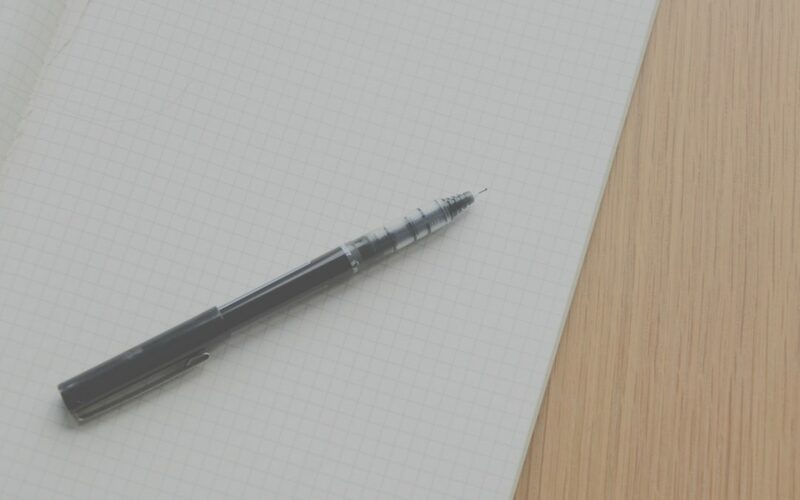 Carry a small notepad or jot down notes on your mobile device to catch ideas in the moment. Join a writing group for accountability, support, and motivation. Make your writing goals explicit for the day, week, or month so that you know if you are staying on track. Keep a master list of all of your writing projects and post it in a prominent place so that you always know what is coming up next. Make a list of all of your ideal publication venues and print them off with empty check boxes next to each one. Post the list in your writing space so that you always have a clear idea of what you are working toward. If one venue doesn’t work out for a manuscript, you have a list of other ideas to start with for Plan B. Develop a list of potential publication venues using a resource like Ulrich’s database (available through most academic libraries). Create a file including information on submission guidelines for each venue so that you have a go-to source for where to send that article you just finished. Design a scholarly writing project board in your most used writing space. Get a white board or bulletin board and post your four-month writing calendar, upcoming goals and deadlines, ideas for future projects, list of projects in process, and possible publication venues. Get all your notes, files, manuscript drafts, printed articles, and relevant books in one place. Take a corner of your office, a file box, or your dining room table as your collection site and gather everything together so you know what you’re working with. Do the same with your digital files. Keep a writing log that notes how frequently you are writing, the duration of your writing times, and notes on what you accomplished to help you notice patterns in your productivity. Create a deadline for all revision work and communicate it to the editor(s) for the piece if a deadline is not provided. Write it on all of your calendars and plan your revision work backward from that date. Plan a detailed writing schedule for your next scheduled break from classes. Set realistic goals, but use the break to your advantage to get ahead on your academic writing. Based on your most recently collected data set or literature review, brainstorm five possible ideas for future articles or conference presentation that look at your topic from difference angles. Go through your old notes and files from your dissertation and come up with at least ten different ideas (or more) for future projects. You might be surprised at how helpful your old notes can be to you now. Review all your partially completed manuscripts to see if any of them should be moved to the front burner — conference papers are a great place to start to find some low hanging fruit to move toward publication. Create at least three different organizational structures for your manuscript so that you are aware of the possibilities available to you. Break it into parts or sub-sections. Create a variety of titles and subtitles. Play around with your content and organization to see what seems to work best. Color code any review comments so you know where all of the positive comments are (highlight in green) versus the suggestions for change or revision (highlight in purple). When revising a piece based on feedback, create a list of small changes requested, medium changes requested, and large changes requested. The small tasks should be things that can be completed in 15–30 minutes, the medium tasks in 30 minutes to 1.5 hours, and the large tasks those that will take over 1.5 hours to finish. Use the list to help create a manageable revision schedule. Make a list of all the small, medium, and large tasks that need to be completed in order for your writing project to be sent out for publication. The small tasks should be things that can be completed in 15–30 minutes, the medium tasks in 30 minutes to 1.5 hours, and the large tasks those that will take over 1.5 hours to finish. Use the list to help create a manageable writing and research schedule. Create at least three different potential titles for your article to help motivate you and keep you on track. It will become clear which direction you are most interested in by the title that you are most drawn to. Make a list of who you might need to contact to move forward (this could be a writer that you are collaborating with, an expert in a method that you want to use, or a colleague that has experience writing in your area). Once you have your list of contacts, begin scheduling them into your calendar to hold yourself accountable. Reflect on the essential questions you are posing and trying to answer within your writing and scholarly work. Coming back to your foundational questions can be re-energizing and allow you to re-focus if you get off track. Write whatever you consider to be the easiest part first. This may mean starting with the methods section, the analysis section, or the introduction. Just choose whatever will help you get some words on the page so that you can feel like you have accomplished something. Read sample articles similar in structure to yours for style and organizational inspiration. Create concrete writing goals either through word counts or pages that you plan to write on a daily or weekly basis. Keep your writing goals contained to weekly check-ins so that you do not lose focus on where you are and where you need to be in the coming months. Write a one sentence, a three sentence, and a five sentence articulation of your overall argument, adding details with each version. Choose the version you like best as a starting point and use it to begin writing. Go through your current draft, even if it is incomplete, and create an outline based on what you have. Using this outline, try to fill in any gaps that you find or just completely rework the structure and see what you can create with a fresh organization. Go back to the basics. What is it that you are trying to say? Write an email to a colleague where you outline the main points of your argument and your evidence. You don’t have to send the email (although feedback from a colleague wouldn’t hurt), but it could help get you unstuck. Take an important word, phrase, or quote from your research and freewrite about it for 15 minutes to see where it takes you. If you always type, try writing freehand. If you always write freehand, try typing. Choose a book or article from your pile of resources and turn to a random page. Look at the third sentence in the second full paragraph and try to connect it somehow to your current manuscript. Begin an email correspondence or set up a phone call with a scholar in your field at another institution where you discuss your project and their current work. Sometimes talking with someone who knows the general context of your research can be helpful to get you back on track. Begin an email correspondence or set up a phone call with a scholar that you know outside of your field at another institution where you discuss your project and their current work. Sometimes talking with someone who knows nothing about your research can be helpful to get you back on track. Start making notes about your conclusion as you go along so you don’t feel overwhelmed when you are finishing up. If possible, walk away from your manuscript for at least two weeks to give it some breathing room. Work on another project or just take a break from writing for a couple weeks before coming back and looking at your article with fresh eyes. Send your manuscript to a trusted colleague for feedback. We often write in isolation, but fresh eyes and a fresh perspective can bring new insights to our work. Find anything and everything you can fix now so that an editor will not ask you to revise it later. Try reading your manuscript backward one sentence at a time to catch small spelling and grammar mistakes. Take a writing retreat. Book a hotel room for a couple days and finish your manuscript away from all other distractions. Order room service and use the early mornings or evenings to take walks. Let the end of your manuscript writing be relaxed rather than frenzied. As you wrap up your project, make sure that your files (both physical and digital) are organized for easy reference — you may have to make edits later and you’ll want everything easy to find. As you finish one project, begin thinking about the next one you want to start so you don’t lose momentum. Choose one of the strategies above that’s new to you and try it out. Have any of the strategies above worked for you in the past? What others would you add to the list?